Everyday we can live from the heart. My intention is to put heART into everyday living. 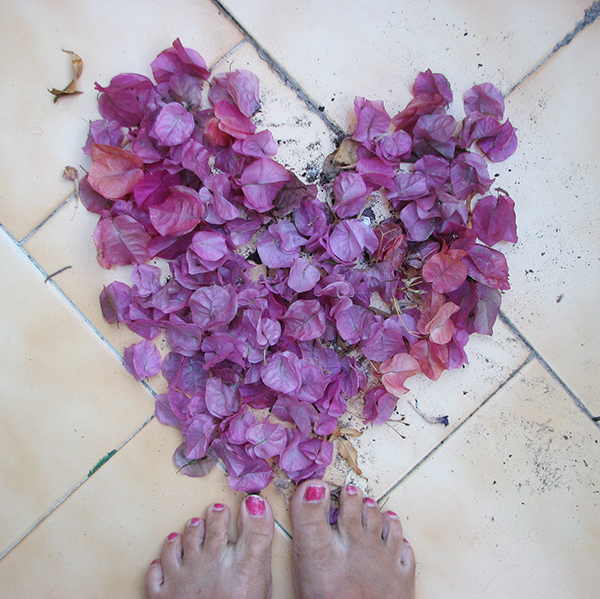 Even sweeping the fallen petals on the balcony can be filled with heART. How do you live from the heart everyday? I am excited to announce a new e-course which has been in the making for most of this year! Here is a little video I made to introduce it. Registration is open and I hope you will join me to put more heART into your everyday too. Living from the heart e-course from Louise Gale on Vimeo. Would you like to spend more time living and creating from the heart? A five-week creative journey for you to take some well-deserved time to connect with the heart, understand the energies within us and around us that influence our lives and discover a creative heart-centered life. Registration open! Class starts on Monday October 14th, 2013.